East Grand Ave is proposed for construction in 2019 after years of planning and preparation. 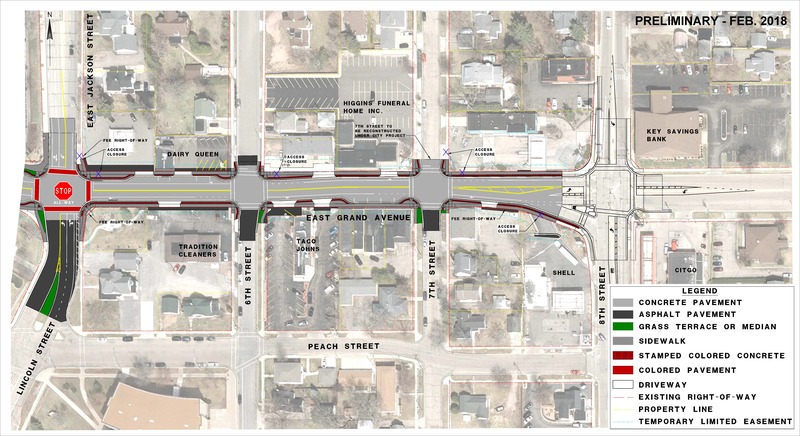 The City had been working on plans to revitalize the downtown since 2009, and work started with the West Grand Ave reconstruction project in 2011 and reconstruction of the 8th St S and East Grand Ave intersection in 2017. Funding became available through the State Transportation Program to fund reconstruction of East Grand Ave in 2015 and construction plans have been in development since that time. The work will include new pavement, sidewalk, curb & gutter, landscaping, and underground utilities. The intent of the web page is to bring awareness to the project, to provide up-to-date project scheduling, project plans and elements, and design elements for businesses and general public awareness.